The work of Koo Jeong A incorporates objects with the capacity for transformation, still and moving images, sound and scent. 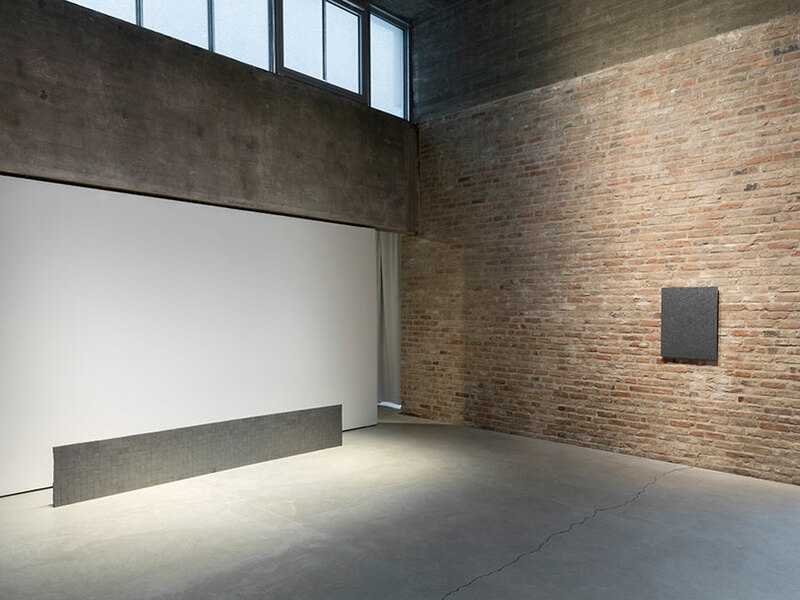 These disparate mediums are combined with elements such as wind, gravity, and site-specific reconfigurations and interventions into architectural space. Often using commonplace matter in order to conjure alternative realities, Koo Jeong A traces a certain poetic within the nature of forms that permeate the universe. What underpins her transient approach to making is an interest in the minute details of our earthly environments and the cosmic constellations that simultaneously connect and expand them. Koo Jeong A traverses these details with a flexible, rationalmovement where order and disorder, perception and memory, beauty and practicality are always oscillating. Koo Jeong A lives & works everywhere. She has had solo exhibitions at Artsonje Center, Seoul (KO), Yuz Project Room at Yuz Museum, Shanghai (CH), ICA Art Night, Charing Cross Station,London (UK), Kunsthalle Dusseldorf (DE), Ile de Vassiviére, region Limousin(FR) and Dia:Beacon, Bridgehampton (US) including the publication Constellation Congress. 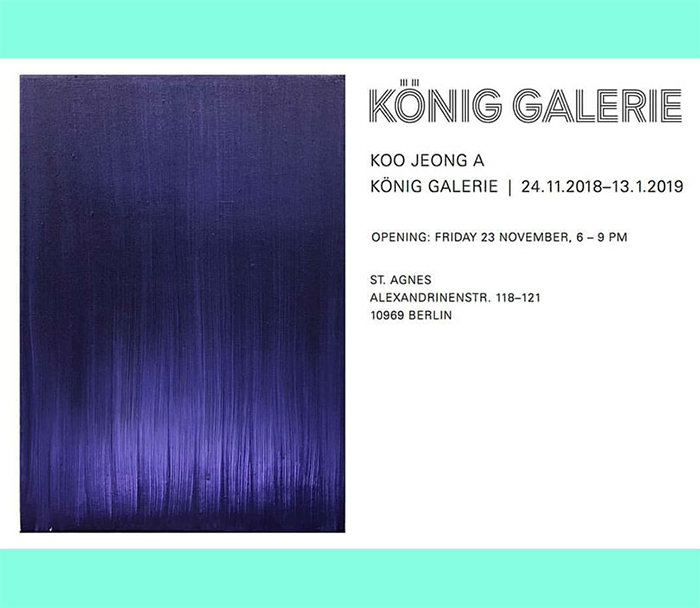 Works by Koo are held in public collections worldwide including the Guggenheim Collection, New York (US), LVMH Collection, Paris (FR), evnart collection, Vienna (AT), Astrup Fearnley Collection, Oslo (NO), Museum of Modern and Contemporary Art, Seoul (KO). In 2019 Koo will participate in the Seotouchi Triennale (JA) presenting an outdoor project.